How strongly do you favor or oppose changing the time of these district elections and budget votes, so that they occur at the same time as school board elections and budget votes in May? Survey conducted by the Stony Brook University Center for Survey Research during the fall of 2014. 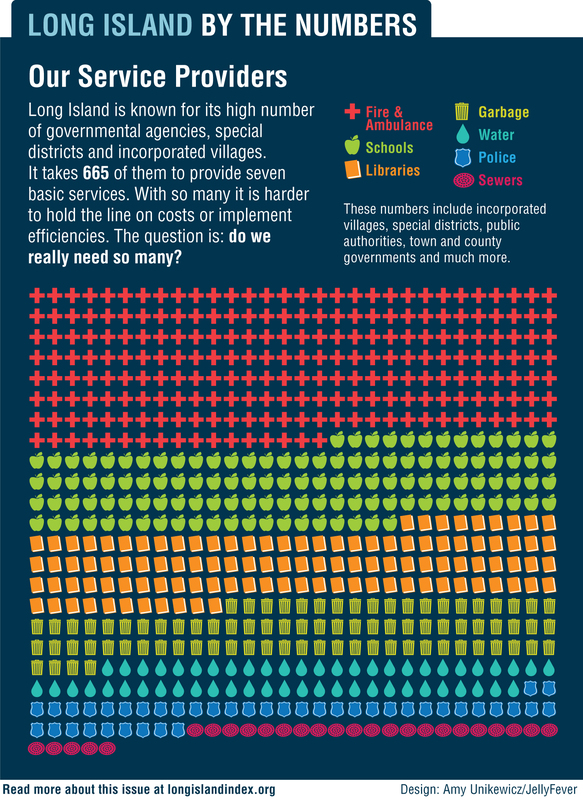 Do you happen to remember the type of district in which you voted (e.g., police, fire, water, library, or sanitation)? Please think back over the last 12 months and tell me whether or not you were able to vote in one of these OTHER elections that was held OTHER than in May or November. To what extent would you support or oppose the consolidation of non-emergency services into single county-wide districts? How serious a problem are high property taxes in [Nassau/Suffolk] County? Overall, what do you think is the MOST important problem facing residents of [Nassau/Suffolk] County today? Is [Nassau/Suffolk] County headed in the right direction? 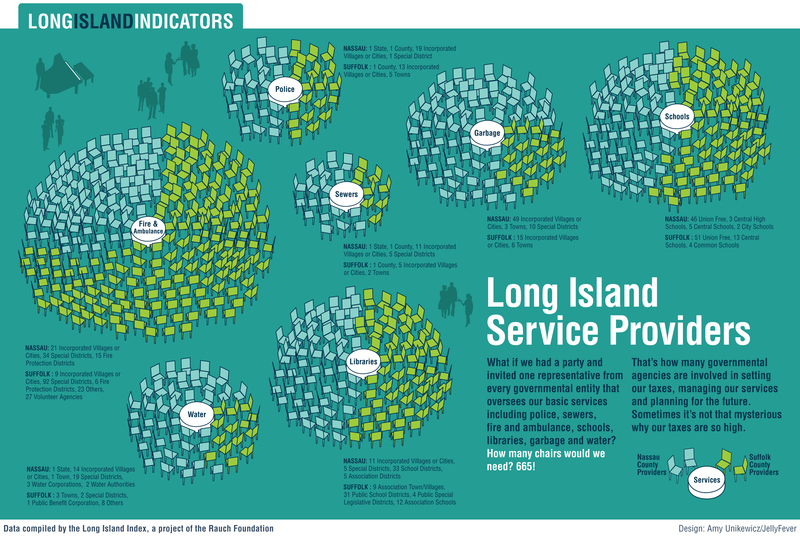 Who Provides Services on Long Island? Long Island is known for its high number of governmental agencies, special districts and incorporated villages. Long Island has 665 government agencies involved in setting our taxes, managing our services and planning for the future.